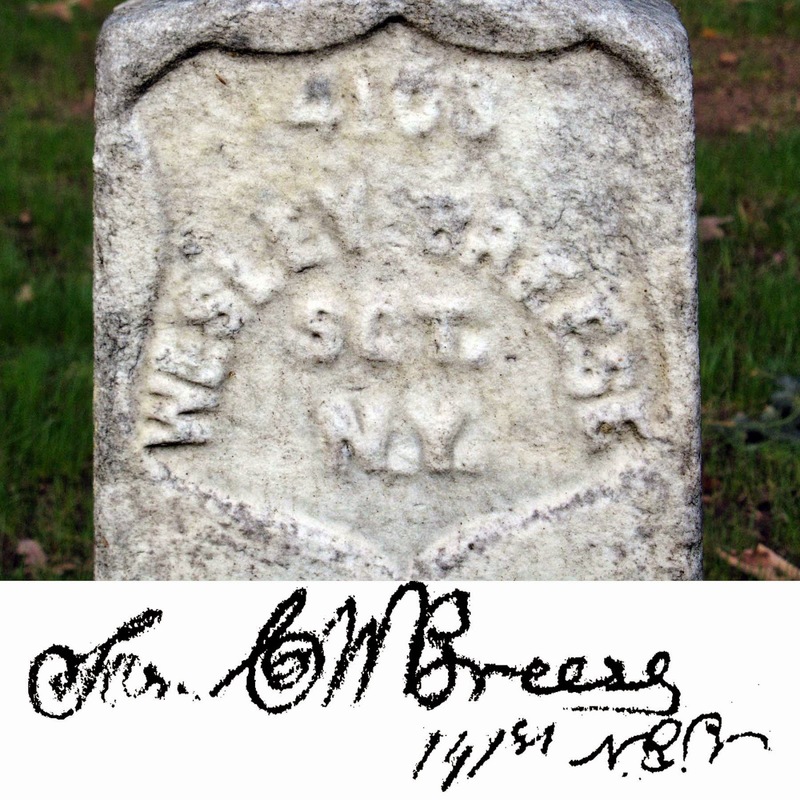 Wesley Breese was 22 when he enlisted at Elmira, New York, in Company C of the 141st New York Infantry Regiment in August 1862 (his first name was Cornelius). 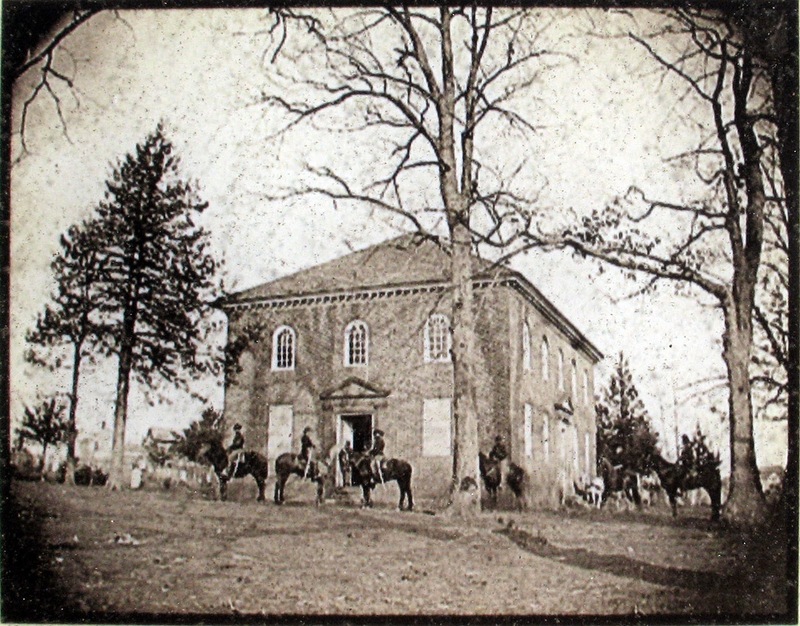 He was promoted to sergeant in September of 1862, and while the 141st was stationed in defenses of Washington, he wrote his name above the altar in the historic Falls Church as did his comrades, John Jacobs, Luther Wright, and Horace Bovier. Wesley wrote his name twice and emphasized his rank. This desecration might have passed unnoticed had it not been caught on film. 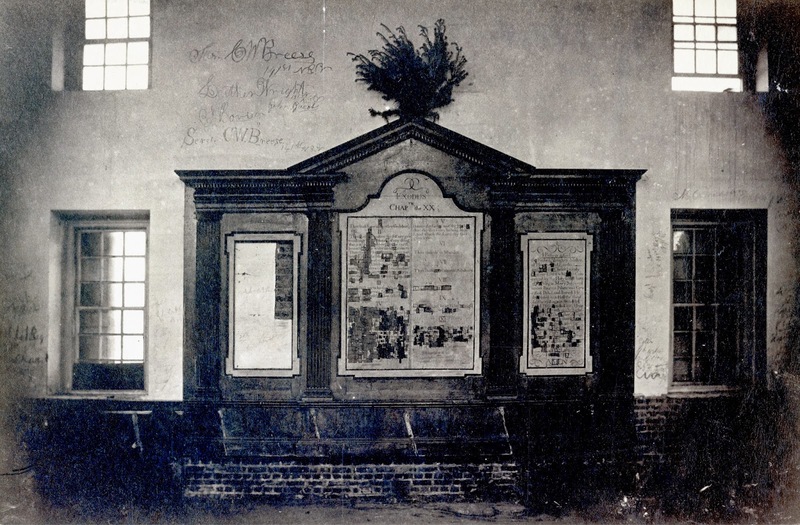 The meta-data on this Library of Congress photo says "Photograph shows the damaged altar piece and interior wall of the Falls Church in Falls Church, Va. The walls were repeatedly marred by graffiti, and bricks were removed." The first church on this site was built in 1734 and was in Truro Parish. George Washington was elected a vestryman, October 3, 1763. 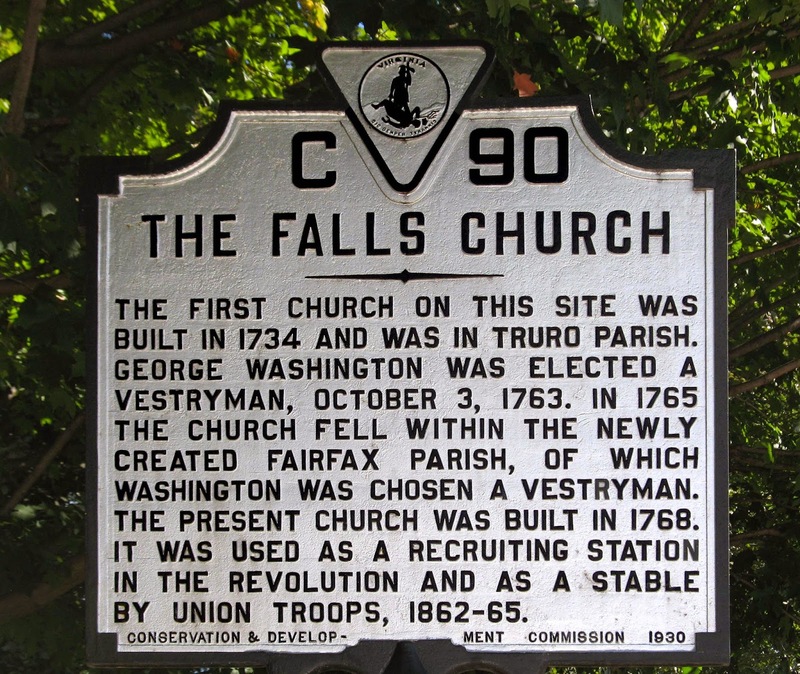 In 1765 the church fell within the newly created Fairfax Parish, of which Washington was chosen a vestryman. The present church was built in 1768. It was used as a recruiting station in the Revolution and as a stable by Union troops, 1862-65. 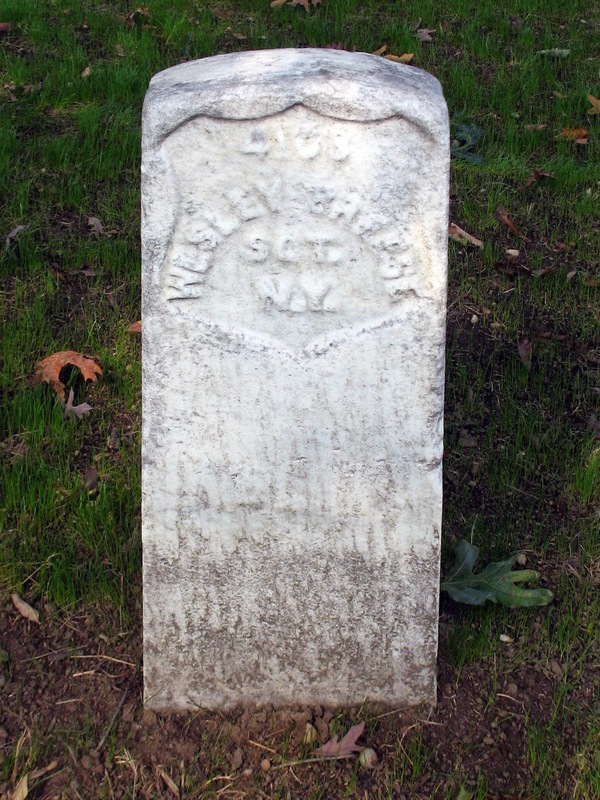 The next time Wesley appears in history is when he is admitted to the Stanton Hospital in Washington, DC, with what appeared to be typhoid fever and died there a few days later. This entry appears in The Medical and Surgical History of the War of the Rebellion (1861-65) (Volume 1, Part 3). Six cases suggestive of the poison of typhoid fever. CASE 50. 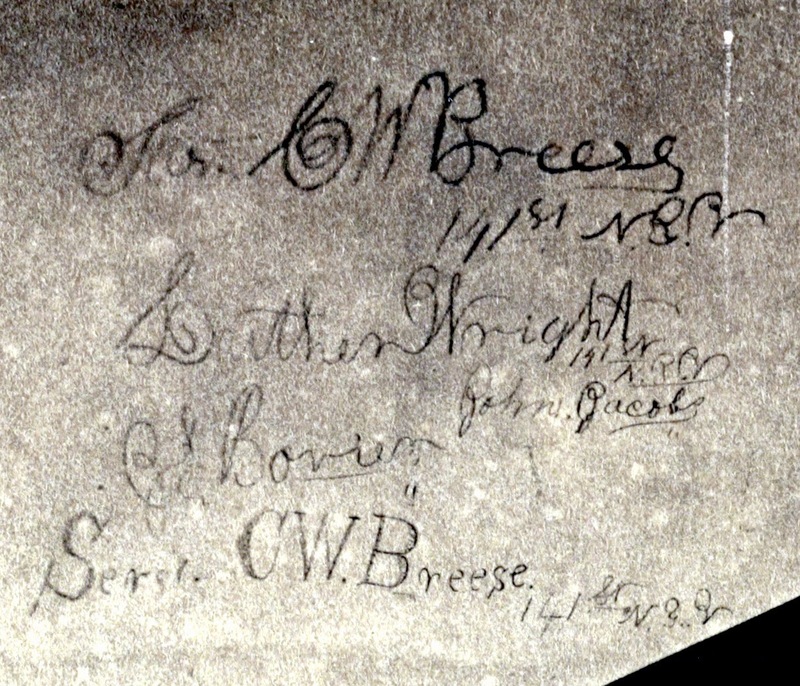 Serg't C. W. Breese, Co. C, 141st N. Y.; age 30; was admitted July 29, 1863, having been taken sick about three weeks before with pneumonia of both lungs and diarrhoea. He was treated with stimulants and beef essence, turpentine stupes, opium, catechu and opiate enemata. He died August 2. Post-mortem examination: The lower lobe of each lung was hepatized and the glands of Peyer ulcerated. The other organs were healthy. 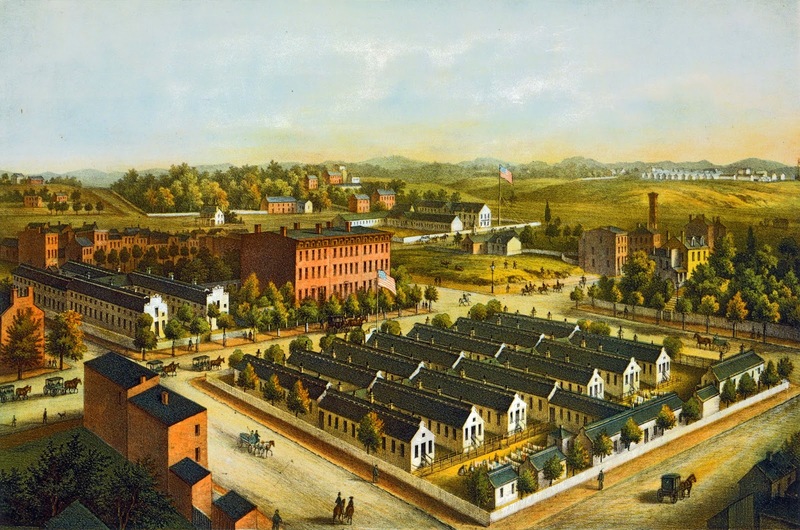 -- Stanton Hospital, Washington, D. C.
The Stanton Hospital was a conglomeration of wooden barracks adjacent to the brick buildings of the Douglas Hospital located between I & H Streets and between 2nd and 3rd Streets in Northwest Washington. 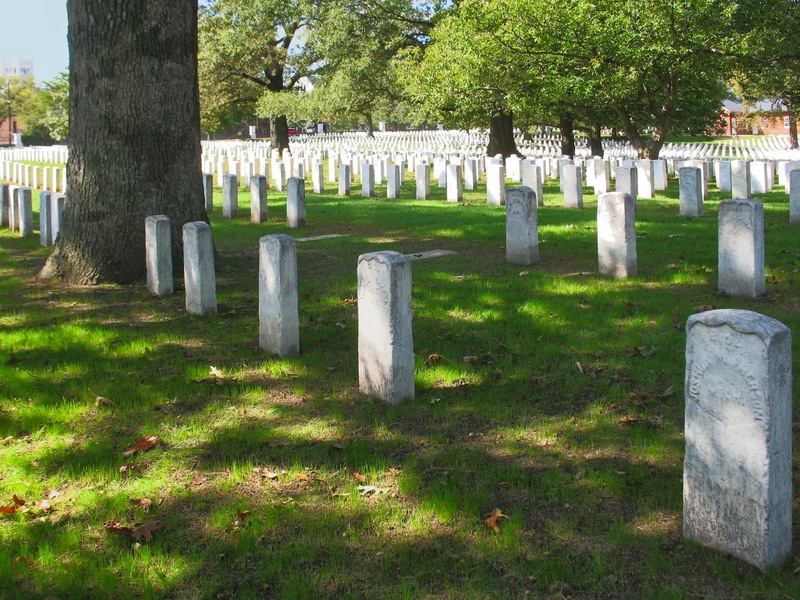 ...where he took his place among the even more anonymous crowd of Union Dead.